Then he really goes off in the second part of the clip that’s been shared on Twitter. “Because right now, it shows that people are so afraid to have conviction … they’re like, ‘Oh my goodness, social media is against us. Well, we’re going to fire him now,'” Tebow explained. 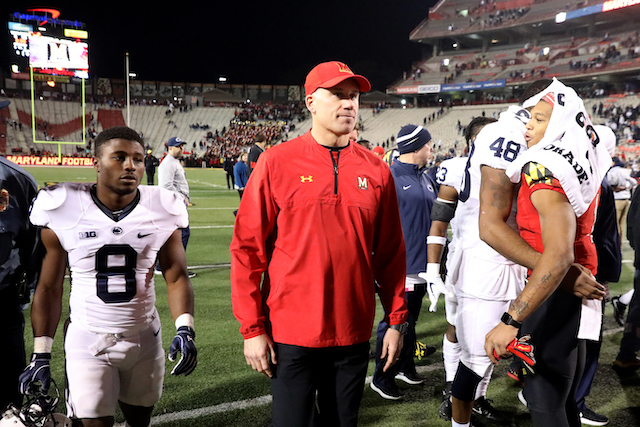 Durkin was first put on leave in August following the death of one of the football players, Jordan McNair, who died of heatstroke during practice. An investigation was launched after his death and over allegations of abuse in the program. On Tuesday, he was reinstated after the investigation cleared him and the program. Then Wednesday he was let go following a backlash over his rehiring.